It's never too early to start planning your holiday menu, so how about some help from the Field Book Project? In today's post, we're going back to 2012 to highlight this lovely holiday recipe card designed by Lesley Parilla, our former Cataloging Coordinator. The rest of the Foerste collection, and the Bartsch and Handley collections will also be made freely available online as digitization is completed. The scientific value of our field books is undeniable, but unusual content like this really sets them apart from your average scientific write-up. What do you think? Will these recipes find a place on your holiday table this year? The recipe holiday card was originally designed and posted in 2012 by Lesley Parilla. The Bartsch and Handley collections will be digitized thanks to the generous support of Arcadia – a charitable fund of Peter Baldwin and Lisbet Rausing. The Foerste collection has been digitized as part of the BHL Field Notes Project thanks to the generous support of CLIR. William Henry Holmes (1846-1933) was a man of varied interests and worked a fascinating path across disciplines. He was an anthropologist, archaeologist, artist, and geologist. His journey at the Smithsonian began when he became acquainted with Fielding Meek, Smithsonian Institution's first full-time paleontologist. Holmes began sketching natural history specimens for Meek and other staff. Holmes went on to work as a geologist with Ferdinand V. Hayden who directed geological surveys of the Western United States. The sketch below documents a rabbit Holmes observed in Yellowstone. William Henry Holmes compiled 20 volumes with original correspondence, documents, ephemera, watercolors, drawings, and photographs to document his life and work. These volumes cover his journey as a illustrator and geologist, as well as his time with the American Bureau of Ethnology, department of Anthropology at Smithsonian Institution, and finally the National Gallery of Art. 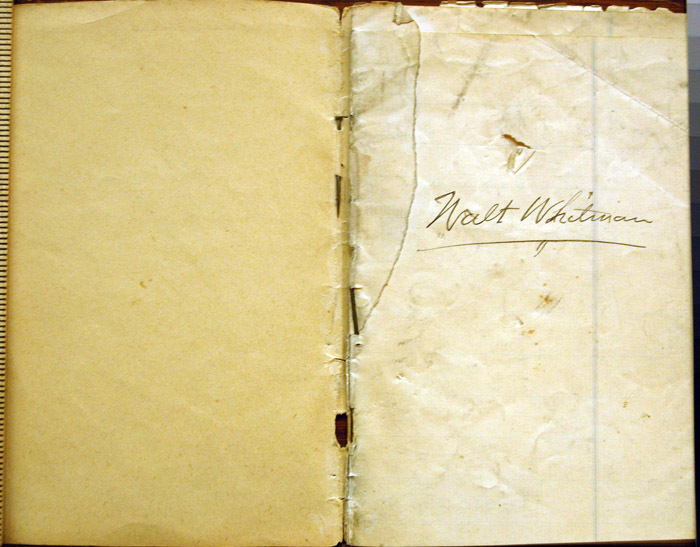 The first several volumes cover his work in the field as a geologist and artist, and were cataloged as part of the Field Book Project. To learn more, check out the Smithsonian Libraries blog post about his life. Also you can see his publications in Biodiversity Heritage Library and his personal papers at Smithsonian Institution Archives. "This charming little "snow" rabbit which inhabits the Yellowstone Park." Drawing by William Henry Holmes. Found in Random Records of a Lifetime devoted to Sciences and Art, 1846-1929 : volume III, Part I, Yellowstone Explorations, 1872 ; Part II, Yellowstone Explorations, 1878. Smithsonian Institution, American Art and Portrait Gallery Library. Image courtesy of Lesley Parilla. Richard E. Grant (1927-1994) worked in the fields of geology and paleontology, with a research interest in brachiopods and stratigraphy of the Permian period. He spent the majority of his career with the U.S. Geological Survey and the Department of Paleobiology at National Museum of Natural History. In 1968, he traveled to Greece to study the geology of Hydra [Ídhra]. The quote below was written as an added note below the original 24 August 1968 entry. Added: This is the day we read in paper of the Russian invasion of Czechoslovakia, in Prague when the Int. Geol. Congress was meeting. Later heard some wild tales of members fleeing. Glad I decided to come here instead. Richard E. Grant [left] and G. Arthur (Gustav Arthur) Cooper [right], paleobiologists at the National Museum of Natural History, stopped by the Big Bend Cafe, Marathon, Texas, while on their search for the Permian brachiopods of the Glass Mountains in Texas. Photograph included in the transcript of G. Arthur Cooper Interview by Pamela M. Henson, January 26, 1984, in Smithsonian Institution Archives. Image number 85-16955. To learn more, check out his materials on Smithsonian's Collections Search Center. Many of our digitized field books are sent to the Smithsonian Transcription Center to help make the text more accessible to a wider audience. We’ve been thrilled with the response, and the excitement and dedication of Smithsonian’s Transcription Center volunpeers! Transcribers do more than convert handwritten text to machine-readable, searchable text. In fact, one of the most satisfying alternate aspects of their work has been the way in which they have increased communication about the field book materials within and between Smithsonian Staff and other volunpeers. The Transcription Center is not only making the field book content increasingly searchable, but also opening fascinating dialogues with new audiences! Volunpeers working to discover which Dr. was Dall discussing. Curators and Personel develop relationships in naming specimens. Volunpeers highlight their discoveries while transcribing. Volunpeers uncover literary delights (Dall’s personal book club). Found It in a Field Book : Aramco Trucks are Tougher! From the journal of Donald Erdman. Smithsonian Institution Archives. SIA RU007428, Box 1 Folder 2. Photograph courtesy of Lesley Parilla. In 1948, Donald Erdman participated in a fisheries survey of the Persian Gulf and Red Sea under the auspices of the Arabian American Oil Company. Between March and August of 1948 he collected nearly 5,000 fishes for the US National Museum. His journal for the survey is an incredibly rich, daily narrative of collecting events and observations. Though his collecting notes focus mostly on fish, his entries also document collecting or observations of corals, shrimps, crabs, mollusks, sea mammals, birds, reptiles, and amphibians. The journal is full of detailed (sometimes colored) renderings of sea life, birds, landscape, activities of local inhabitants and, as seen in the photograph above, subjects that are a little less scientific. I have seen many field books that contain hand drawn maps of important areas, but none of them have been as detailed as the ones found in Richard Blackwelder’s field book from his trip to the West Indies in March to July of 1936. Blackwelder’s maps usually include rivers, valleys, and towns as well as routes he took while visiting each location. He also includes the specimen numbers for the items collected in the sites he visited. This particular page has a drawing of Dominica with a scale of 1 inch = 4.5 miles. Hand-drawn map in Richard Blackwelder's field book. Smithsonian Institution Archive. Acc. 96-099, Box 1, Folder 9. SIA2012-1257. This field book from Leonhard Stejneger documents his trips to Puerto Rico and the West Indies in 1900 was unusual to begin with because the inside back cover contained a pocket, which I had not seen on other field books that had been digitized. Inside the pocket, I found calling cards for various colleagues and a few miscellaneous notes, which were all to be expected. What I did not expect to find, however, was a tiny American flag patch. The patch is only about 1.75 inches wide, and is definitely one of the most unique objects I have found in a field book. American flag patch found in Leonhard Stejneger's field book. Smithsonian Institution Archives. RU007074, Box 25, Folder 7. SIA2012-0844. It is fairly common for field books to contain excerpts of newspaper articles relating to a collector’s field of interest, and those of Benjamin Walsh were no exception. One newspaper clipping in particular that I found in Walsh’s field book stood out to me, though. This snippet from a larger article states "The latest improvement in stock is a new breed of cats in Vermont, which have tails only an inch long. The advantages claimed for such tails are that they cannot get under a rocking-chair or be stepped upon, and that the door can be closed quicker when they go out." As far as I can tell, no part of Walsh’s research involved cats so the inclusion of this article is rather interesting to me. Newsclipping found in field book of Benjamin Walsh. Smithsonian Institution Archives, SIA RU 007123, Box 1 Folder 2. SIA2013-05307.